This trend is sector agnostic. Similarly, in renewable energy sector, the investors are keen on projects backed by the central agencies-with better credit rating-but banks are stepping back seeing the aggression. In the last week of September, highway developer IRB Infrastructure announced the financial closure of their two hybrid annuity model, or HAM projects. This paved the way for some of their projects, four-laning NH-32-earlier NH-45A-connecting Puducherry with Poondiyankuppam stretch of 38 kms and four-laning of the same stretch from Poondiyankuppam and Sattanathpuram in Tamil Nadu. IRB was lucky in convincing the banks to back these projects, but the other 56 project in the HAM weren't. Till now, 104 HAM projects worth Rs 1.25-1.5 trillion have been allocated. These 56 projects are finding it difficult to convince banks of their business plan and many of them have already sought time extension, to start execution of these projects. Banks are worried that though HAM might have lowered the traffic risks, it also attracted companies, which don't have any experience of road construction; some companies have taken more projects then their wherewithal, or in some cases they bid too aggressively that their internal rate of return (IRR) are too low. The banks are battling with their own challenges of non-performing assets, NPAs and bad debts, which have made them more conservative in giving debt. Hence they are cautious about even these 'lesser risk' projects. This trend is sector agnostic. Similarly, in renewable energy sector, the investors are keen on projects backed by the central agencies-with better credit rating-but banks are stepping back seeing the aggression. They are asking investors to put in more equity. Result: Most of the projects are seeking extension on the implementation timelines of projects-solar and wind-or are looking for raising funds -debt or equity-from outside India. The trouble is that the depreciation of currency is making their task even tougher there. Even the Indian railways had to rope in a PSU to back the railway station redevelopment plan, as banks didn't back the private players. Moreover, Harsimrat Badal-led Ministry of Food Processing Industries has already received a licence to start their bank to fund the newer entrepreneurs. Meanwhile, Nitin Gadkari-led Ministry of Road Transport and Highways, or MoRTH is trying to convince banks to back the highway projects under HAM. Three years back, his ministry replaced the infamous build operate and transfer, BOT model, with HAM. 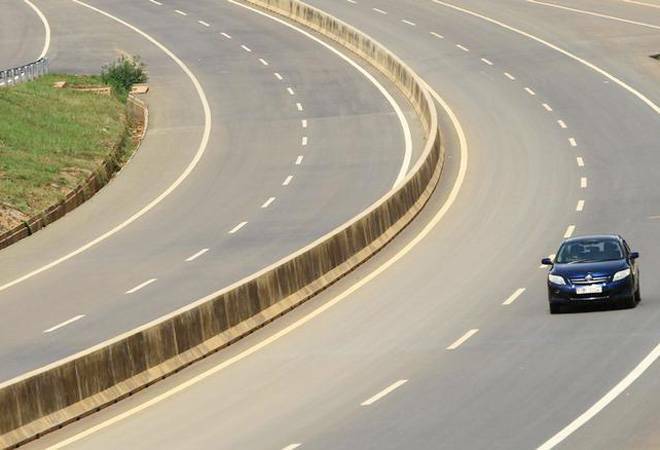 In this, the investor will not have to factor in the traffic risk as the toll collection is taken out of the equation. NHAI promised to give time bound annuity payments (40 per cent of the project cost), and the investors will only have to arrange for the rest 60 per cent from the funds. During the same time, the then New and Renewable Energy Minister Piyush Goyal made government agencies -SECI, NTPC et al-back the projects, first solar and later wind. The aggressive bids alerted the bankers. They were simply not convinced with the IRR numbers and now 8-9 per cent deprecation of rupee worried them. 90 per cent of the solar panels (70 per cent of the project cost) in India are imported from China. The promoters are complaining that the bankers are asking them to put in more equity in the projects and in some case they ask as much as 50 per cent equity. Practically, only government owned non-banking financial corporations, Power Finance Corp (PFC) and Rural Electrification Corp (REC) are available for funds. Or the promoters can go to international market to raise funds -debt or equity-but deprecation of currency made that difficult too. All this leads to a different debate, if India requires accelerating the private investments in the infrastructure segment then the development finance institutions, or DFIs need to be reintroduced. In 90s, India introduced ICICI Bank, IDBI and IFCI with this specific requirement, but later they were converted to do universal business as commercial banks. The DFIs are required to build up a cadre of officials, who understand project implementation challenges. Currently, most of the commercial banks keep geographical and sector risk in focus, while evaluating the projects and preparing the financial feasibility study. And the project evaluation is largely outsourced. Moreover, the gestation period of most of the infrastructure projects is long and the universal banks don't have access to capital with a long term deposits. This creates liquidity mismatch, and is one of the biggest handicap in creating these institutions. In the recent report, the rating agency CRISIL noted that the private investment in the infrastructure spending hit 10 year low. They factored in the two sectors, highway and solar (along with the wind) as upswings. But the conservative banks may turn the story worse for the private investments. Hope someone is listening.